Transport yourself to the land of Greek mythology on a virtual reality RollerCoaster ride you'll never forget. 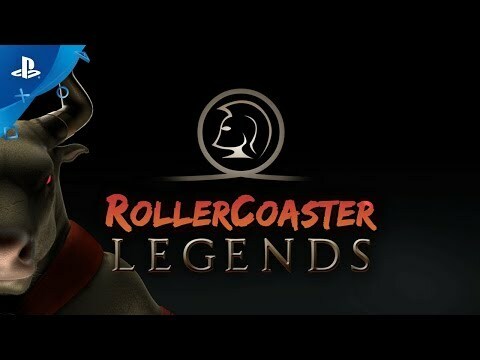 RollerCoaster Legends is a mythology-based rollercoaster featuring icons from Greek mythology, including the Minotaur, Kronos, Charon, and Hades. Enjoy the thrills of a gigantic rollercoaster in a location only possible to visit through your VR headset. A non-stop adventure, RollerCoaster Legends delivers high-quality graphics, stylistic art, and a smooth user experience, in addition to the excitement and thrills of riding on a rollercoaster. RollerCoaster Legends™ © 2017 WarDucks™ Developed by Warducks. All rights reserved.